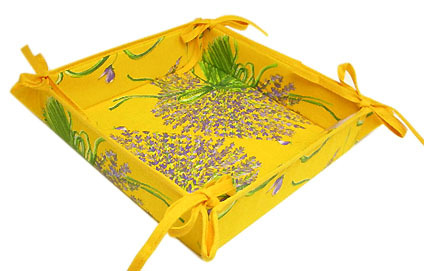 Provencal bread basket (Lavender & roses. 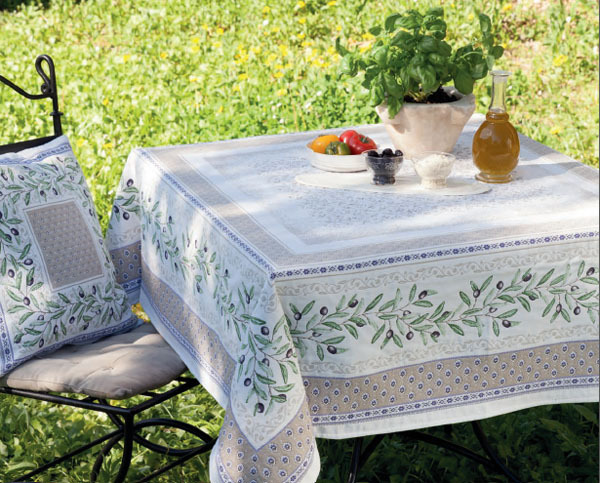 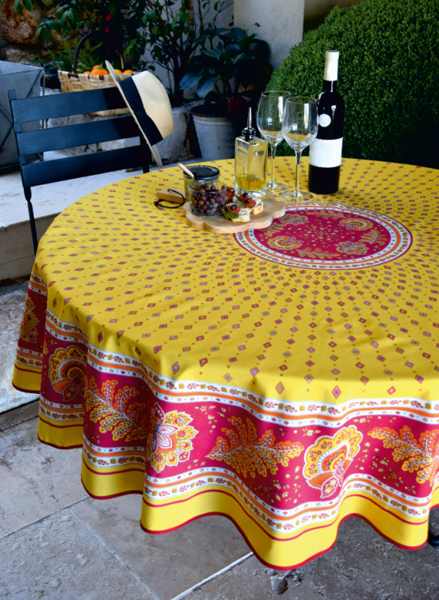 raw) : Provence Decoration, The Provence tablecloths and products online shop from Nice - France, worldwide delivery. 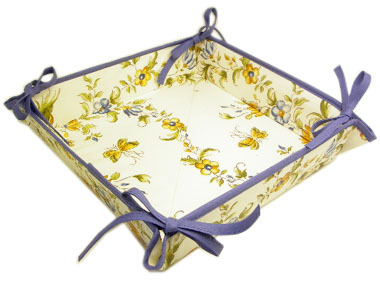 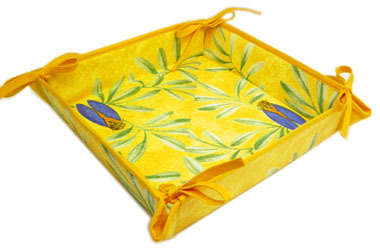 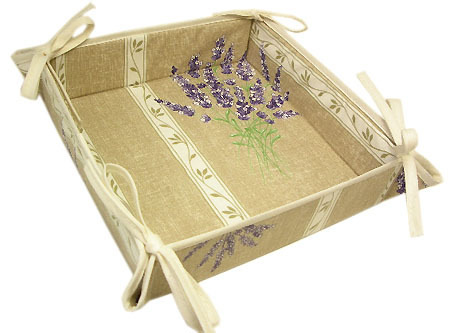 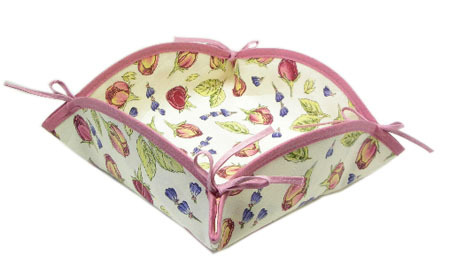 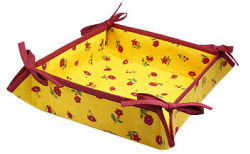 A "cartonnage" style basket covered of a characteristic provencal fabric. 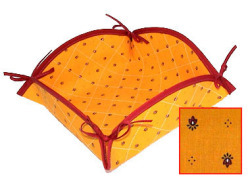 The inside cardboard is replaced with a polyester layer for a better durability and borders are strengthened with bias. 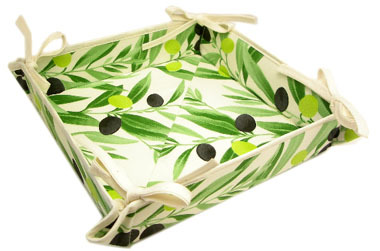 Can be used to store bread, fruits, herbs sachets, cookies or candy. 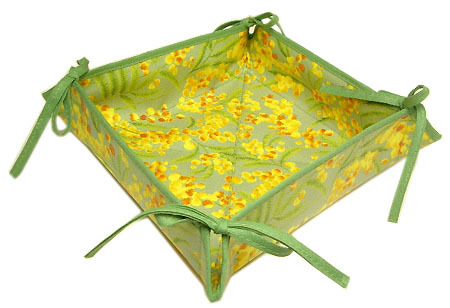 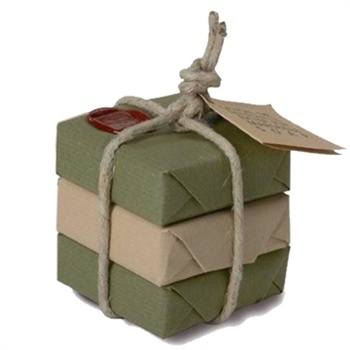 Very convenient and washable, it is supplied flat and can be built in quickly by knotting the ties.